The Easter weekend is almost upon us and today’s recipe is packed with all the chocolate and all of the treats. I’ve included dark chocolate as well as Chuckles and speckled eggs (two of my weaknesses) for good measure in these rich and gooey Easter brownies. This is the type of recipe I reserve just for special occasions, and if you’re looking for a weekend splurge you have come to the right place! I suppose I should be used to it by now, but I could not believe my eyes when just one week after Christmas the supermarket shelves were already filling up with Easter eggs! Of course now that it is March you cannot maneuver your shopping trolley without bumping into a chocolate bunny but it is a bit more acceptable now that Easter is just a few days away, yay! A few weeks ago a friend sent me a photo of a beautiful Easter bird nest cake. 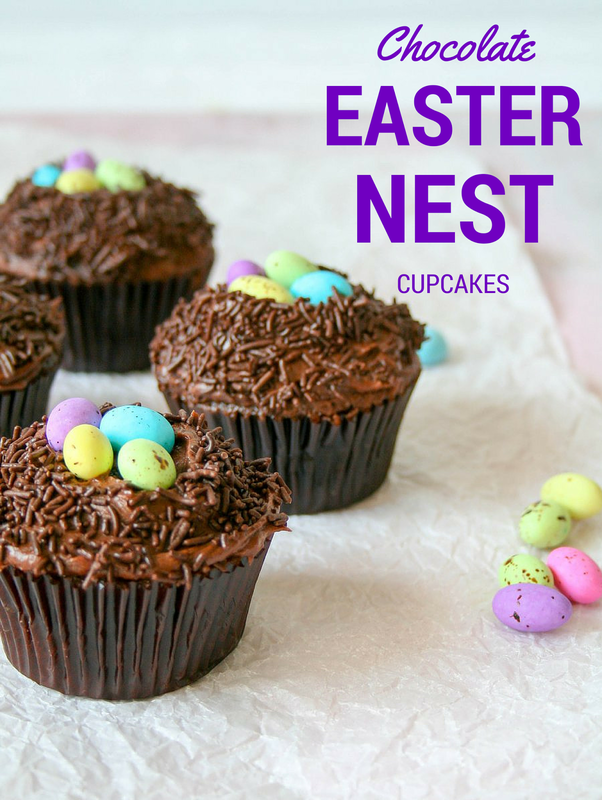 It reminded me of some Easter cupcakes I made years ago, and I decided they would be perfect to make again and share with you this week. They will make a colourful and delicious addition to your Easter table! There is a little back story to this recipe which was inspired by a good friend of mine. 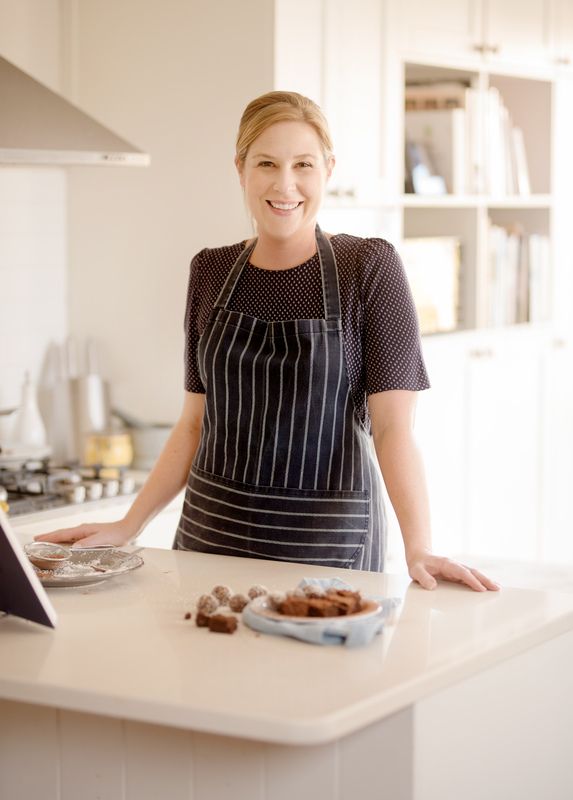 She recently left Australia where she has been living for the past few years, and where chocolate hot cross buns are readily available. During a recent chat a few hints were dropped about creating a similar recipe… I suspect that since she will be making her way to Cape Town in the next few weeks (and has confessed to being addicted to them) that she was actually being serious! 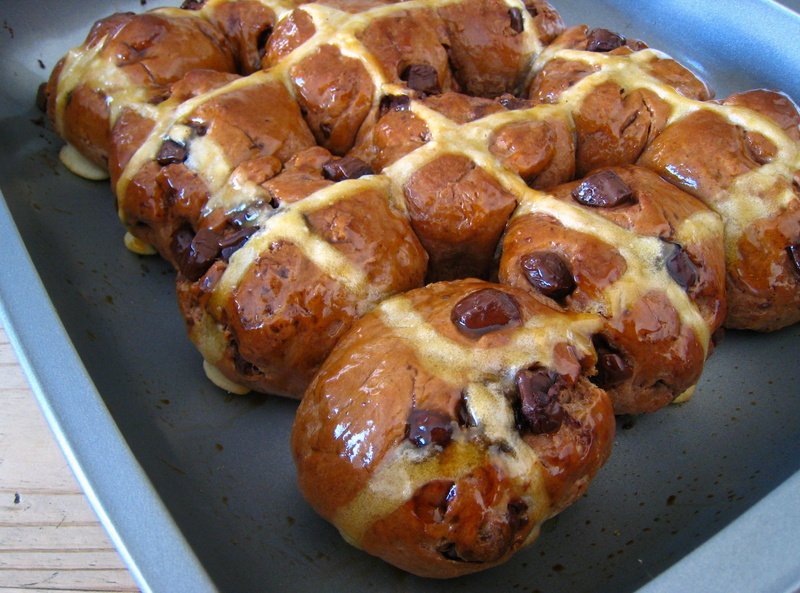 Well of course I accepted the challenge and thought these would be a gorgeous treat to enjoy at Easter.